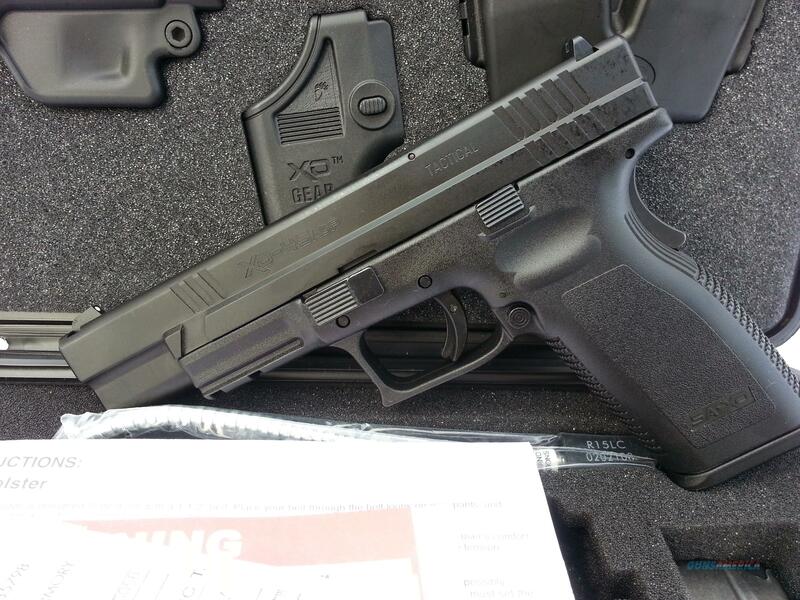 New in the box Springfield Armory XD .45ACP 5” Tactical pistol. Please see photos for review. Comes with two CA compliant 10 round magazines, holster, double mag holder, magazine loader, documentation and cable lock. Already have one of these as my nightstand gun. This was a spare that I never used. Has sat in the safe since purchase. Great ergonomics and controllability. A very smooth shooting, accurate and reliable handgun.